Stover isn’t just no contact, no response for a certain amount of time to clear your head and heal your heart. Stover is a frame of mind. It’s your new mantra. Stover is rejecting anyone who doesn’t appreciate you. Stover is closing the door forever and putting a padlock on it. Stover is accepting the relationship is finished and there’s no turning back, no matter what. Stover is ensuring there is zero possibility of any reconciliation or potential for a future friendship. Stover is letting go of the need for vindication or hope of an apology. Stover is accepting that the outcome was inevitable. Stover is building an impenetrable fort of protection. Stover is erecting a boundary that is indestructible. Stover is reacting proactively to guard against relationship amnesia. Stover is feeling confident about permanently ejecting toxicity from your life. Stover is crossing the bridge, then throwing a grenade over your shoulder and blasting the bridge to bits. Stover is diffusing the narcissist’s vortex from ever regenerating. Stover is taking back your power. Stover is the sum of many small actions that equal complete and total self-love. Stover is the loudest silent message that the relationship is not just over, it’s STOVER (So Totally Over!). Click on the link to read more about How To Permanently Detach From A Narcissist. 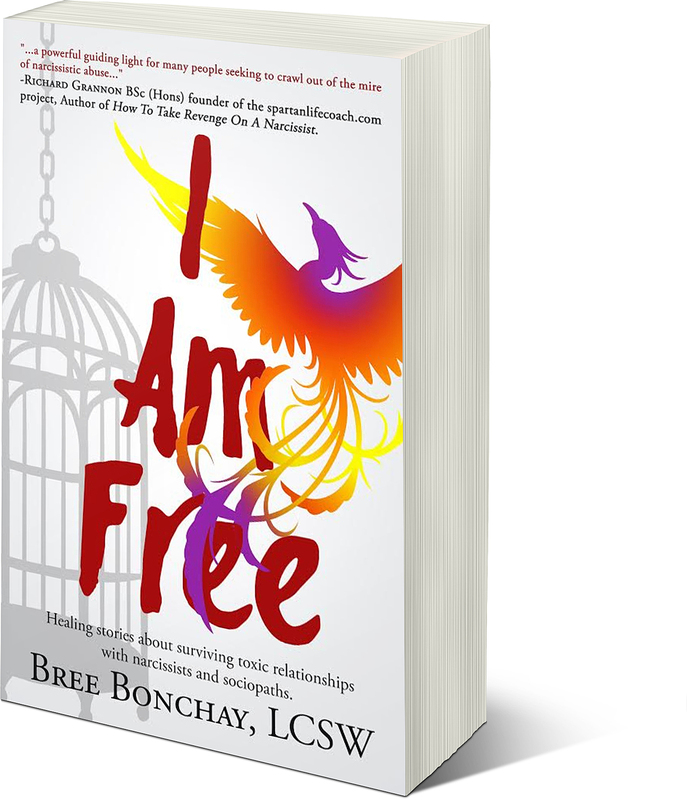 Bree Bonchay is a Los Angeles based licensed psychotherapist who believes relationships are the currency of life. She’s dedicated to helping people heal from break-ups, recover from toxic relationships with narcissists and sociopaths and to never settle for a life less than the one they dreamed of. She is a Blogger, Advocate, Facebook Toxic Relationship Recovery Forum Administrator, Radio Guest Expert, and is the Author of the book, I Am Free. I get the whole no contact thing but when there are financial issues to be resolved how do you do that? Thank you, Bree. Your insights are wonderful & help me realize that by ‘letting go’ of toxic people, i open myself up to newness which is more healthy & helpful for my personal growth! How do you handle a situation where you have to be around the narcissist because you share grown children and grandchildren who have family birthday parties, etc. and you have to be around the narcissist or miss the family event? I try to carry on as if he is not there, to be civil if we pass each other, but there is so much pain for me. Three of the four children were his from a previous marriage, and they look on me as the only mother figure they have had. The narcissist would like to push me out of the picture because that is what he did to his first wife (their mother). We have been divorced three years now after a 30-year marriage, but I am still grieving the loss of the family unit. I am trying to get past that grief and also to not be jealous when he has the children and their families at get-togethers at his family-owned properties where I am not welcome/included/invited, etc. I am trying to become a person again after the years of putdowns and the final blow of his leaving me for a younger woman, but the children (though they are very supportive of me) have a certain loyalty to him and want to think that he is such a neat, fun guy. Besides being at a disadvantage financially, I do not want the relationship with the kids/grandkids to be a competition for affection. Any tips on dealing with the situation and the pain involved would be appreciated.